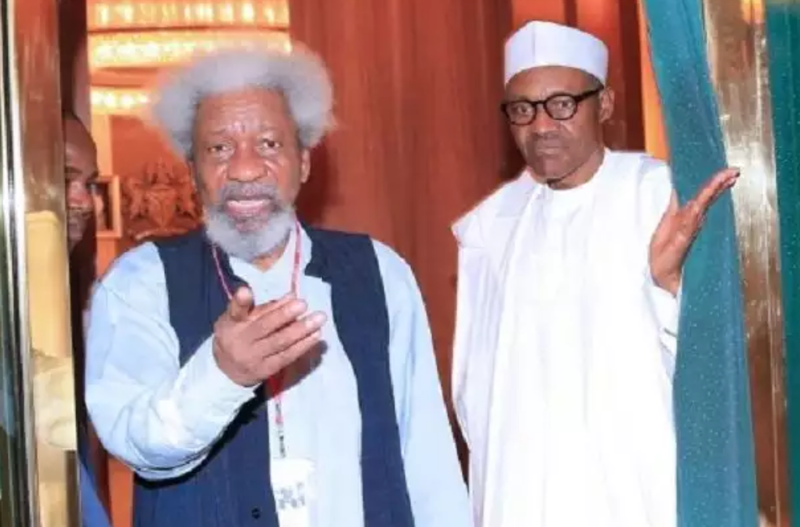 Nobel Laureate, Prof. Wole Soyinka, has again condemned President Muhammadu Buhari’s handling of the raging nationwide killings. Soyinka, who described Buhari’s response to the menace as too cosmetic, likened it to a medical doctor “treating cancer with Vaseline”. The literary icon, who said that Buhari lacks the capacity to check the killings, appealed to the international community to intervene in the carnage to save Nigeria from experiencing Rwandan type of genocide. Soyinka spoke on Thursday in Makurdi, the Benue State capital when he led a team of the Association of Nigerian Authors (ANA) to commiserate with Governor Samuel Ortom over the recent herdsmen killing of two Catholic priests and 17 worshippers in the state. Soyinka said: “I do not believe in false pride. If this government cannot cope, it should not shy away from asking for international help. When human lives are concerned in their thousands, it’s about time, if it is necessary, to return the compliment. “But I think it is a time for all of us to probe this tumour and stop pretending that this is simply ringworm, when we are actually dealing with cancer. It is time for the government to wake up, moment has been lost, a critical moment when this act of impunity could have been stopped. “The trouble with not calling things by their proper names and at the right time is what leads communities, nations, and people generally to start treating a malignant tumour with Vaseline. “Just like refusal to recognise, and at the critical moment, the nature of a particular problem that has been at the basis of the massacres going on in this region, especially Benue State. There’s no other word for it. “Why should an organized force descend on sleepy villages and mull them down, men and women, old and young children. What is the motivation? “Now from time to time, we hear of explanation that these are Libyan mercenaries on the loose, yes but who brought them here? Who shelter them, who shepherds them, who sponsors them and why? He asked.